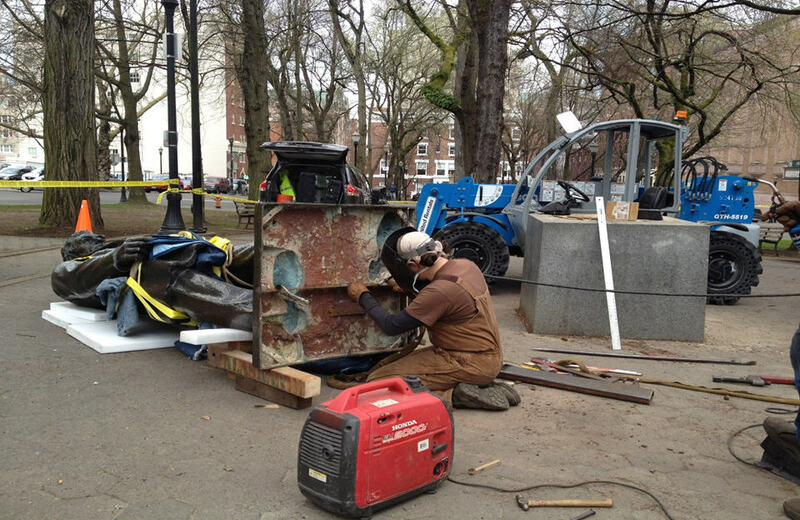 RACC oversees the care and maintenance of the City of Portland and Multnomah County’s art collections and consults with other organizations about establishing sustainable maintenance programs for public art collections. Visitors and local residents alike notice the well-maintained public art throughout the city and county. To achieve this, RACC’s maintenance program uses skilled maintenance technicians, detailed maintenance records, and qualified fine art conservators when necessary. To report vandalism/graffiti damage to any piece of Portland or Multnomah County public art, please contact klachowicz@racc.org.